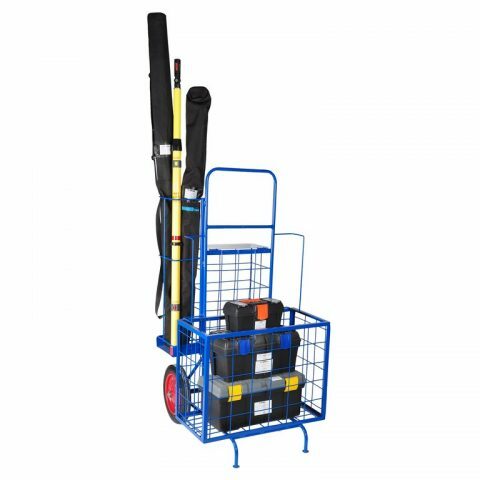 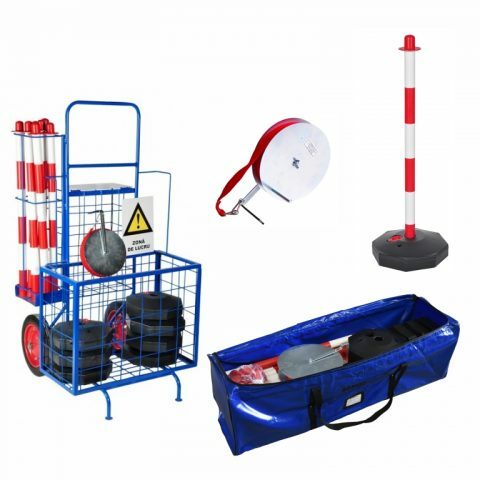 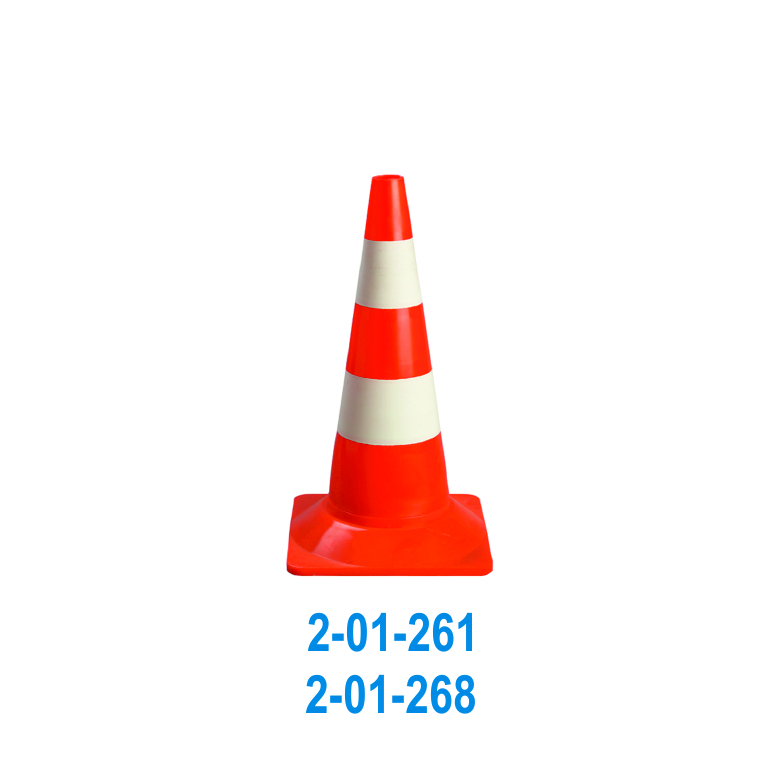 The warning cones can be used both in indoor and outdoor areas, in order to indicate the existence of hazard in the proximity of the place where these cones are located. 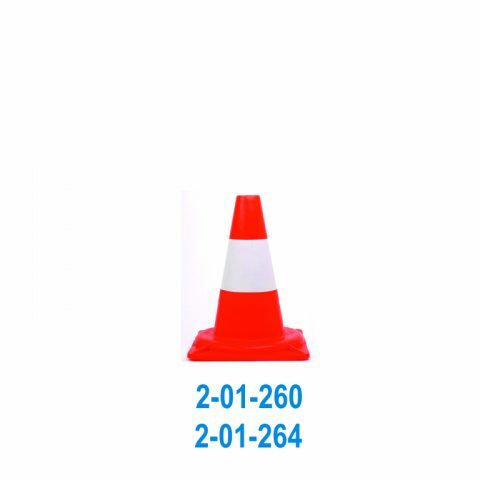 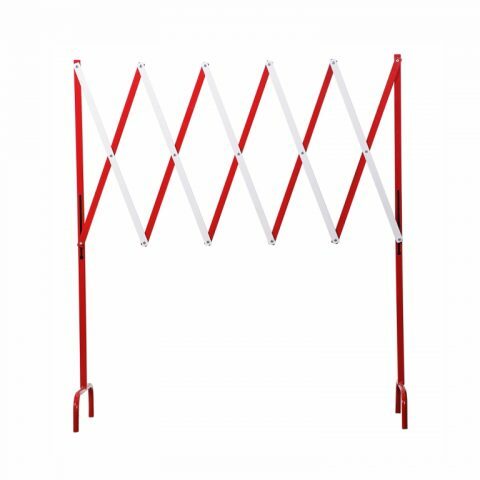 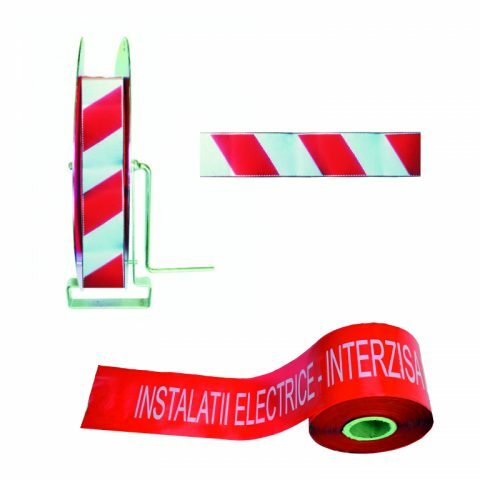 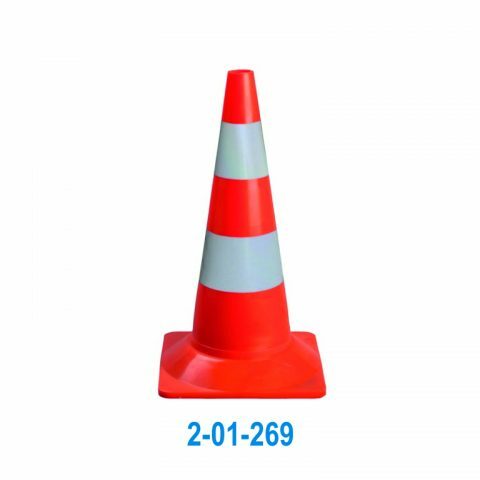 Cones are manufactured in multiple sizes, made of plastic, provided with horizontal alternating white (high-visibiity silvery white) and red (high-visibility red) stripes. 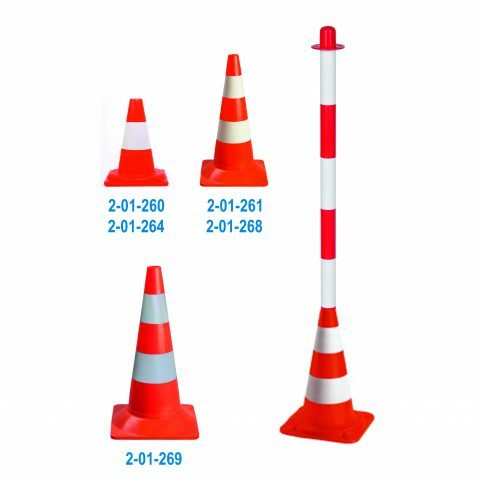 Some cones allow the attachment of warning pillars, as the cones are used as base supports for these pillars.